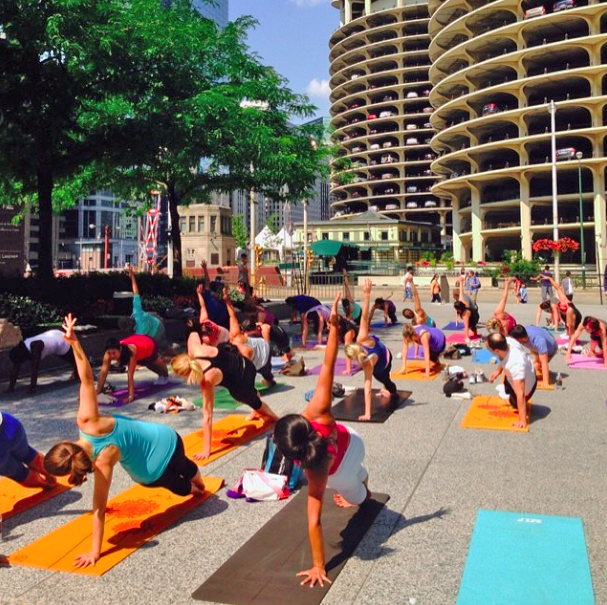 The Yoga Life Chicago: Yoga on the Plaza THIS Saturday by Chuan Spa/Langham Hotel!! Yoga on the Plaza THIS Saturday by Chuan Spa/Langham Hotel!! Saturday, August 16th @ 10 a.m.
"Fine Print: Participants in the session will also receive a complimentary week's pass to our #ChuanSpaChicagofitness center. Bring a yoga mat if you have one; we'll also have a few on hand.